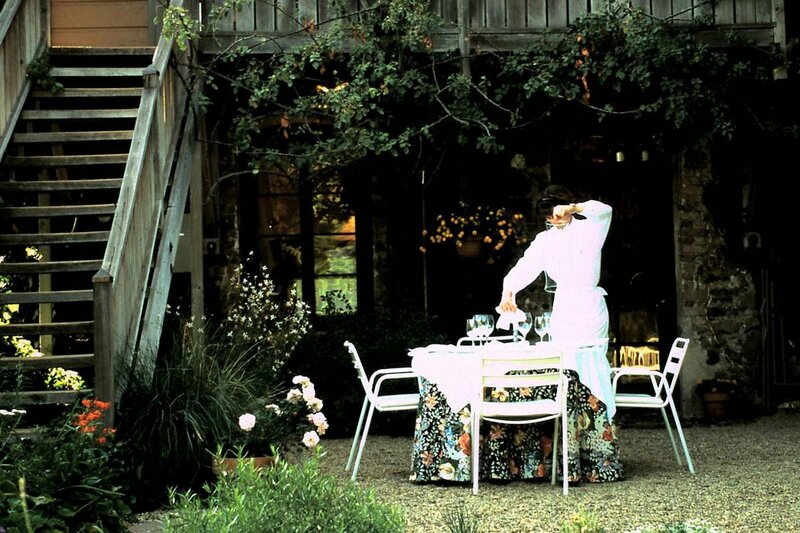 A meal in the courtyard at The French Laundry in 1994, from their of their 20-year history. Photo courtesy of The French Laundry. Would you let distance or lack of company keep you from fulfilling a food fantasy? 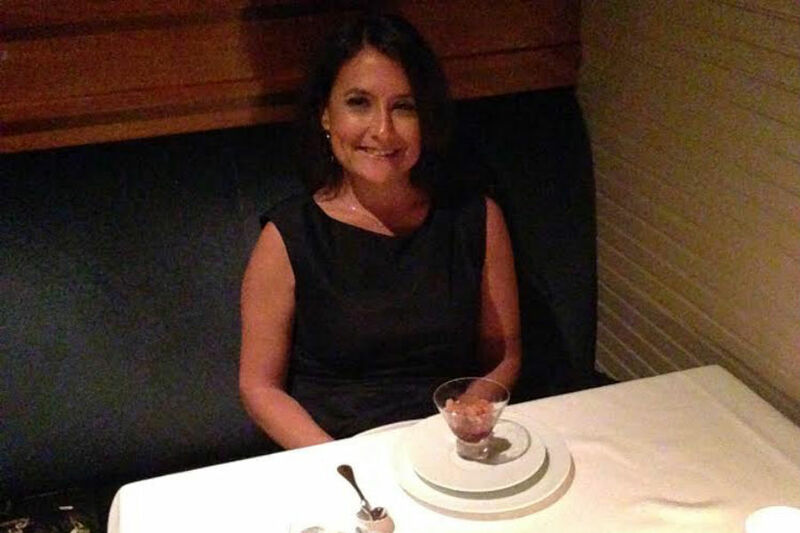 Solo dining hero Shari Bayer didn't think twice when she booked a table for one at The French Laundry, a culinary temple almost 3,000 miles away from her home in New York City. 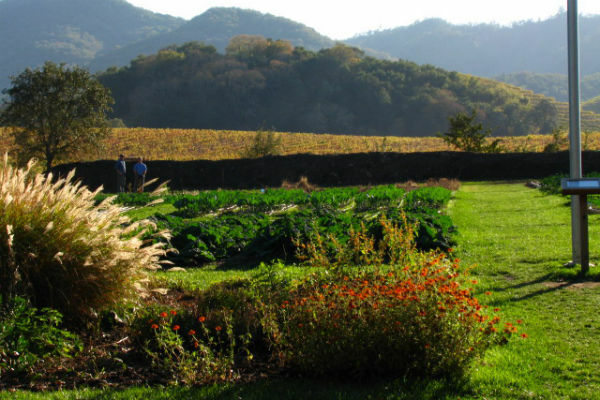 YOUNTVILLE, California – I had nothing on my travel agenda until Labor Day. Summer was supposed to be mellow. California was nowhere in the plan. Then I watched the lovely for the 20th anniversary of (TFL), and that changed everything. I live in New York, and soon found myself on OpenTable searching for a reservation to the north Cali restaurant. 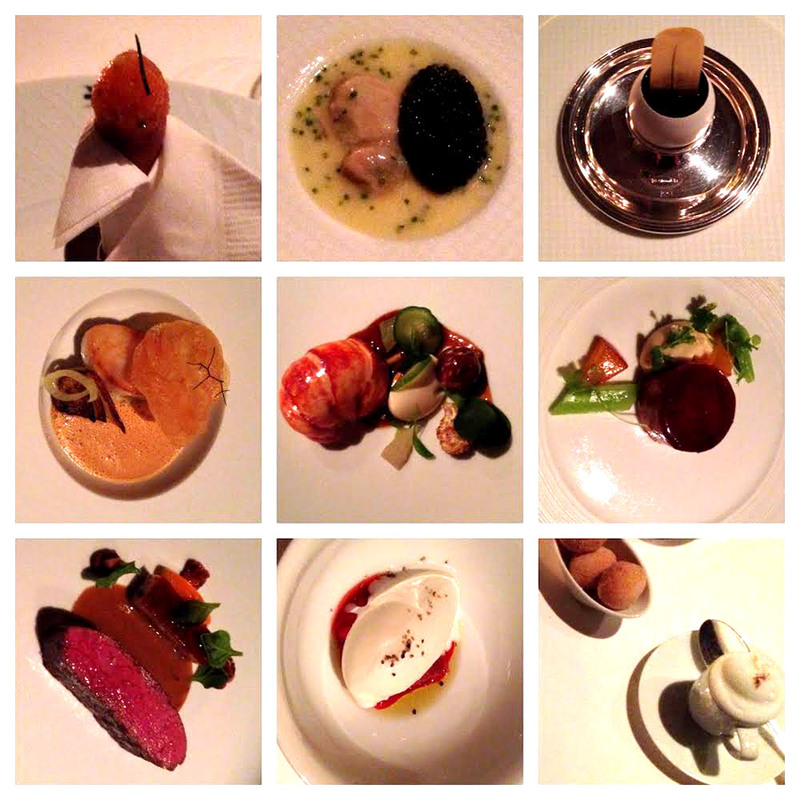 I have always wanted to dine at Thomas Keller's three-Michelin-star gem. My dream was for my future husband to surprise me with a trip to this romantic restaurant, but I decided to let go of the fantasy. There are still plenty of restaurants that Mr. Right can take me to. The stars were aligned. I did my search and found a reservation. It was for two people on a Thursday in July, just a couple of weeks away. Without hesitation, I did what any restaurant-obsessed professional would do, and booked it. The reservation was for two, so the question now was: Who was also crazy enough to fly across the country on a whim to fine dine? One by one, I reached out to friends from New York City to San Francisco. And one by one, the response was "I wish I could. But you should go!" Making the most out of impromptu trip. All photos by Shari Bayer. I'm a fearless solo traveler and diner (), so I knew it was my calling. I changed my reservation to one. I booked my flight, hotel, and car. I reserved a ride, mud bath/massage at , and dinner at — another three-Michelin-star restaurant — to make the most of the trip. I was ready to go. I flew the Wednesday before my reservation to Oakland, drove north, and arrived in Napa/Yountville in the late evening. After I checked into my hotel, I sped over to chef Keller's more casual restaurant, , which happened to be the only place in town open late. I loved the energy at Bouchon. 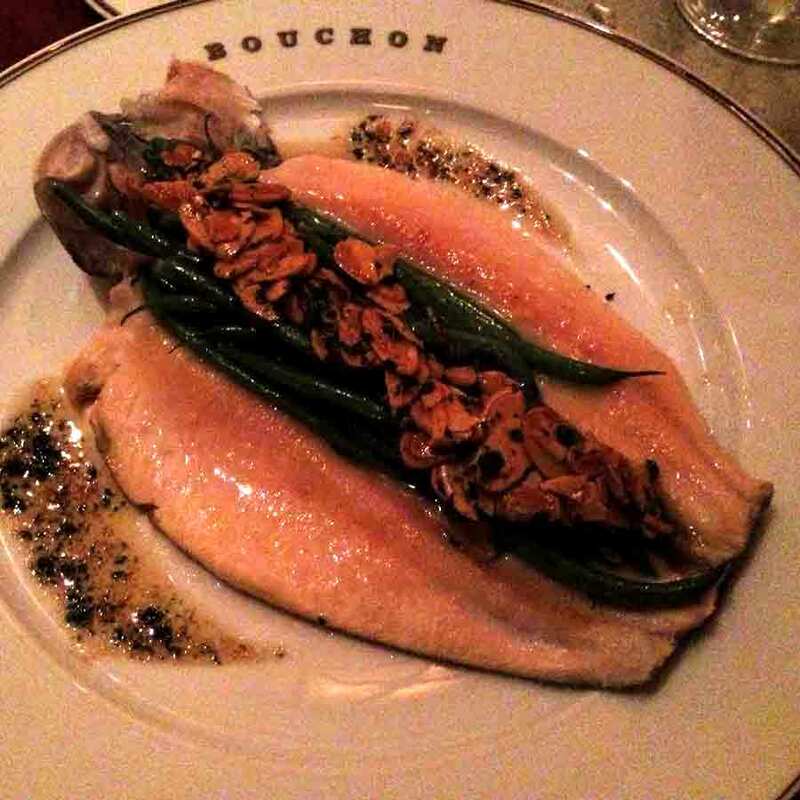 My midnight snack — a divine piece of Idaho rainbow trout served with haricot verts, toasted almonds, and beurre noisette — was delicious. I was off to a very good start. I woke up bright and early the next morning for my first hot air balloon ride. 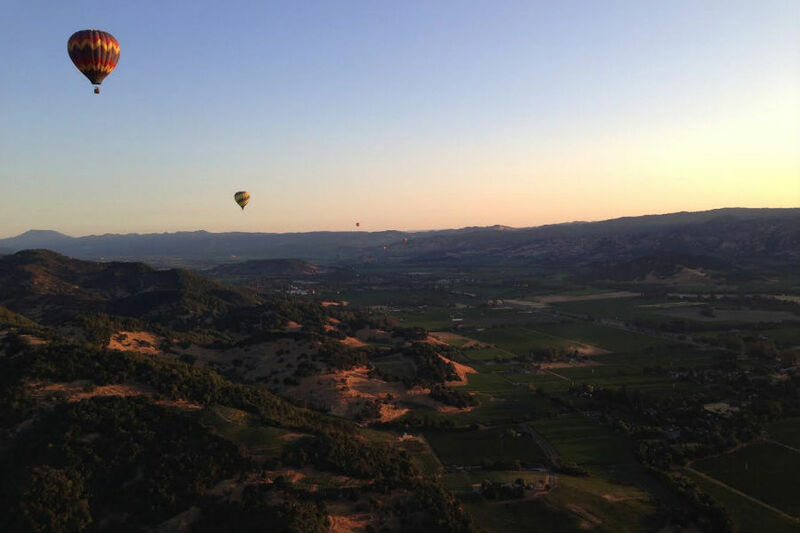 Floating above Napa's gorgeous vineyards at sunrise was a fantastic experience. After touching ground, I took a nap, a walk around town, and some personal prep time before my 9 p.m. TFL date. I arrived at The French Laundry right before sunset. The vast country garden across from the rustic, two-story stone house eatery was as charming as I had imagined. It was simply serene. I was so glad to be there. Views of the valley from the garden. Photo by / Flickr. I checked in with the maître d', and since I was a little early, took a walk around the garden. In my four-inch heels, I hobbled along the grass to the impressive greenhouse and farm and admired the peacefulness of the valley before returning to the delightful patio and lounge. I sipped a complimentary blood orange soda before being seated at a table for one on the first floor in a semi-private room occupied by two other tables of diners. It felt intimate and comfortable. After a perfect first bite of chef Keller's classic tuna tartare cornet, the menu options were presented. I opted for the chef's tasting menu, a $295 prix fixe that included service. Dinner officially began with green tomato gazpacho followed by his signature Oysters and Pearls — a dish as good as I had remembered from Per Se in New York City a few years ago, if not better. Out came hen egg custard with a ragout of Perigord truffles. Rich and heavenly. Then slow poached Atlantic striped bass. Delicate and delicious. More followed: Sweet butter poached Maine lobster, rillette of Liberty Farm Peking duck, and calotte de bouef. It would be hard for me to pick a favorite course. Service was top-notch. As the meal progressed, the waitstaff warmed up to me, especially after I mentioned I was in the industry. Mid meal, one of my servers brought me reading material — a copy of chef Keller's fine magazine. It was a nice gesture. Soon the dessert procession began. A sublime palate cleanser of strawberries and cream had me at mascarpone sherbet, and the assortment of desserts was not too shabby either. Having reached my limit, the staff boxed up the remaining candies to go. I was fully satiated. As the room slowly began to empty and the last coffee was poured, I decided that fine dining alone may be the best way to relish a meal. There are no distractions from the food, service, and ambience. A solo diner lives in the moment. We're often living in the past or thinking of the future, but when we're dining alone, we can relish the now. I love this. I savored every moment and would do it again in a heartbeat. I settled my bill, and happily accepted the offer to tour the kitchen. Chef Keller greeted me inside, shook my hand and held on to it as we spoke about my wonderful solo dining experience. I also hinted that he should open a Bouchon in NYC. (Wishful thinking! I'll have to settle for Bouchon Bakery near Per Se.) Chef Keller was warm, kind, and appreciative of my journey. I left feeling very fortunate and grateful to Keller and the amazing TFL team for a truly memorable experience. Traveling across the country to dine alone at one of the best restaurants in the world was definitely worth it. I'm already plotting my next adventure.